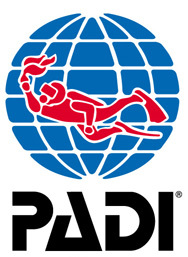 To enroll in a PADI Open Water Diver course (or Junior Open Water Diver course), you must be 10 years old or older. 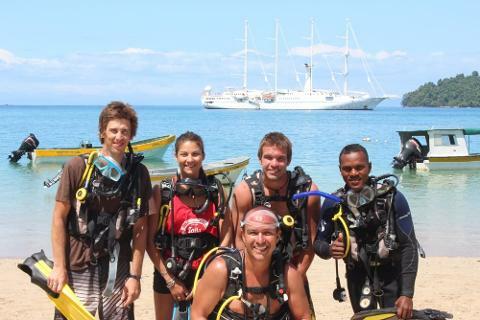 If you are between 10 and 14 years old, you will receive the Junior open Water Diver Certification. You need adequate swimming skills and need to be in good physical health. No prior experience with scuba diving is required. Due to international law regarding the use of the internet, eLearning is only possible if you are 13 or older. One or two days of theory including watching videos and doing knowledge reviews, quizzes and an exam. If you have the time, and would like to enjoy Santa Catalina a little as well, we recommend scheduling two days for this, otherwise it's an early start and a full day of studying. When making your reservation, this means arriving the day BEFORE your schedule tour to begin with the theory. Two days of diving (confined and open water dives) in the national park. 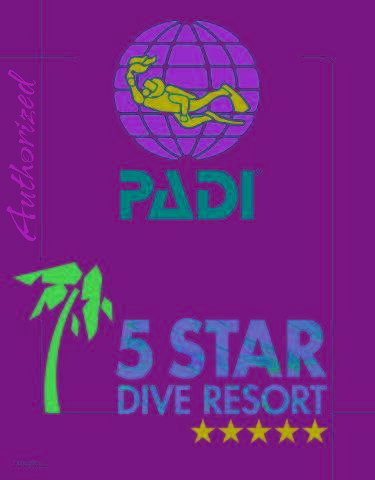 Includes: all the rental gear, PADI material, instructor, dives, online certification, two lunches.